My daughter, 16 months! Then a group photo of the myself, her and my husband. We were farmers!! 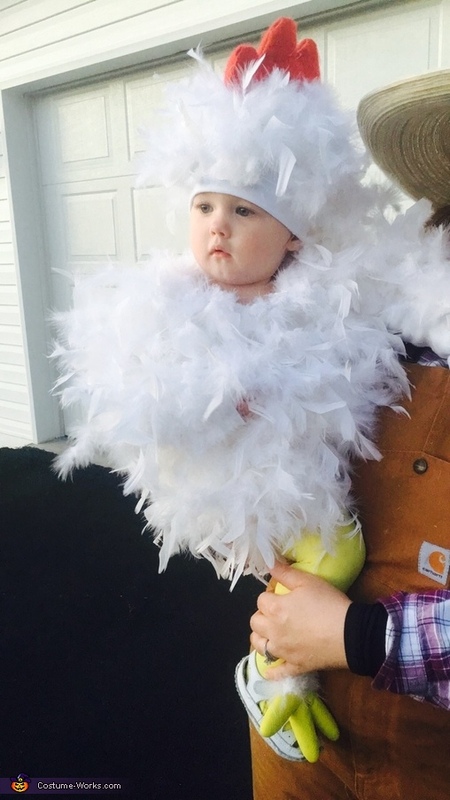 I looked around on Pinterest for my chicken costume idea. I made it myself and changed it some from the others I found. Basically white onesie, batting, boas, red felt, yellow dish gloves and a glue gun! It didn't take long to create it she stole the crowd running around in this (looked like she was flapping). I'm trying to post the video it was hilarious! !